Owl Things First! : Presidential Parade and a Freebie! Presidential Parade and a Freebie! 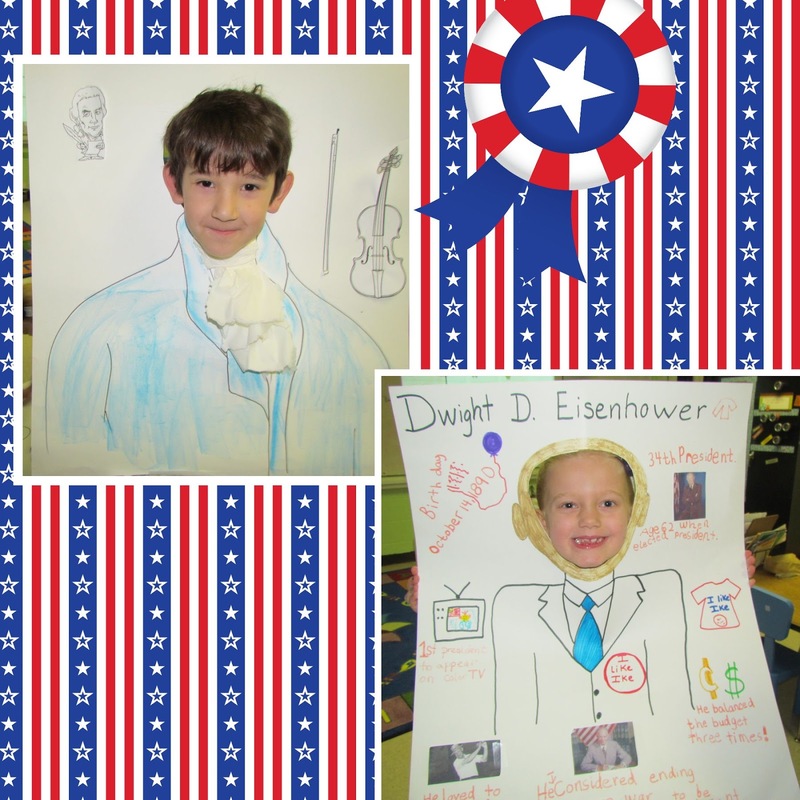 I'd like to introduce Thomas Jefferson and Dwight D. Eisenhower! Can you find Teddy Roosevelt, JFK, James Madison and Franklin D.? Do you have a way to get your kids to read more? 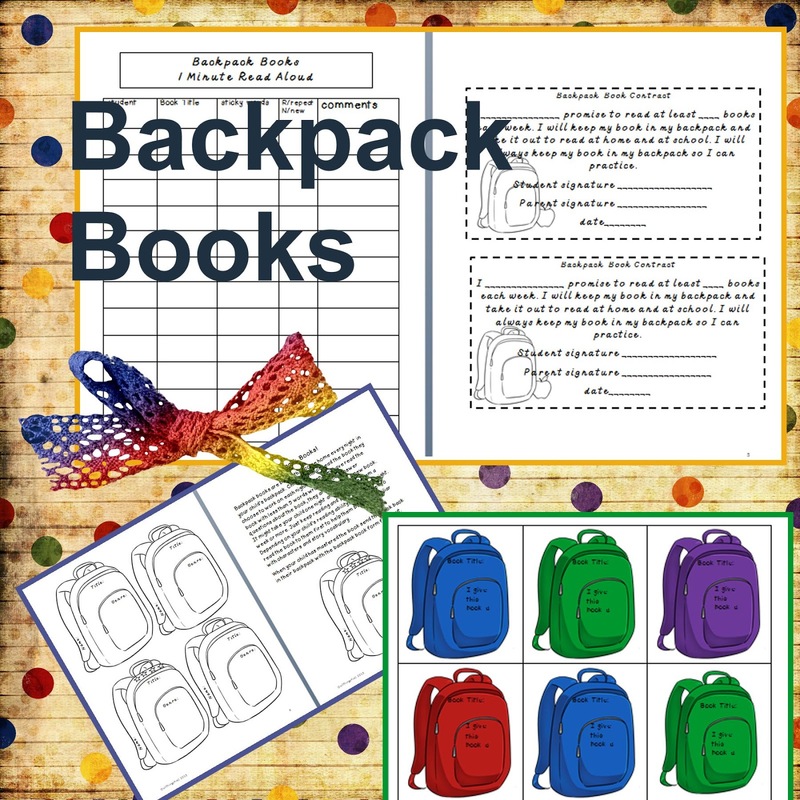 I don't give much homework, but I would love to get my young readers to read more.I have been searching for a good organized way to get my kids to do more reading at home. I finally gave up and created my own packet of materials that I introduced to my students today. They were pretty excited about hanging up paper backpacks in the hall to show how many books first graders can read. I'll let you know how it works. Maybe it is something you can use too! Click HERE if you want to give it a try. It looks liked your kiddos had a blast. Great ideas! What a great lesson, Jenny! By the way, Arnie The Doughnut is one of my fav characters! Thanks for sharing the backpack reading idea; my kinders take home a Splat the Cat animal with one of his books, every two weeks. We've assembled quite a journal for Splat this year! 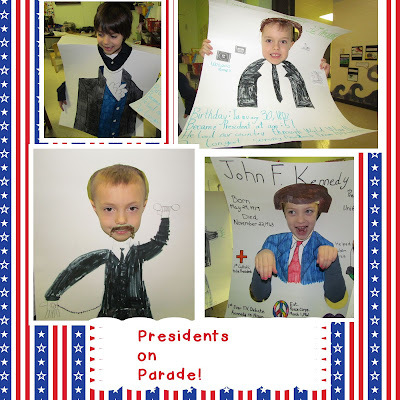 You've got some cute presidents! I love the presidential parade! That turned out soooo cute! Thank you for sharing. 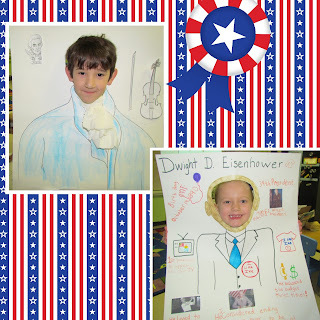 I just posted what my students did for President's Day on my blog. I will have to keep your activity in mind for next year! How cute are your presidents. I have never seen that before. What a great idea. I just might have to do that with my first grade next year. Your newest followers. Elephun! Give Away and a FREEBIE!